Announcing the allocation while presenting the 2018-19 budget in the assembly, Deputy Chief Minister Manish Sisodia said the amount is 3 per cent of the total budget and 9.88 per cent higher than the allocation made for the current financial year. Mr Sisodia said that it's 9.88 per cent higher than the funds given in the revised estimates of 2017-18. New Delhi: The AAP government in Delhi proposed to provide Rs 6,903 crore to local bodies for the next financial year in view of their poor financial condition. The three municipal corporations ruled by the BJP are at loggerheads with the Arvind Kejriwal government over fund allocation, with the civic bodies accusing the AAP dispensation of not giving it its due share. "The government will provide financial support of Rs 6,903 crore to the local bodies in 2018-19 which is 13 per cent of the total budget and 9.88 per cent higher than the funds given in the revised estimates of 2017-18," Mr Sisodia told the House. 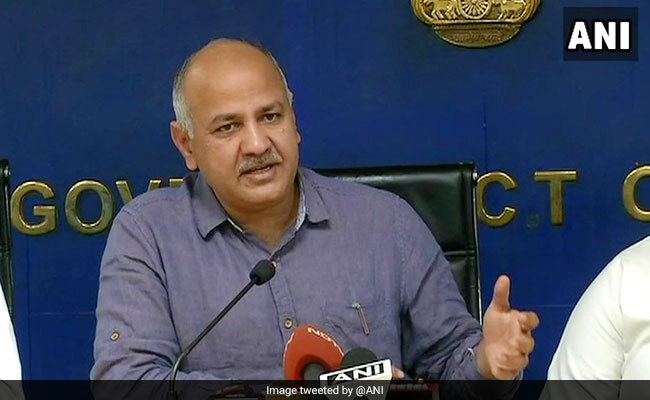 In view of poor financial condition of the north and east municipal corporations, the government has not recovered the principal and interest amount of the outstanding loan liabilities during the year 2016-17 and 2017-18 from the grants being released to them, Mr Sisodia said. He said the total financial support to local bodies mainly includes Rs 3,460 crore as share in tax collection, Rs 1,805 crore as share in stamps & registration fee and one-time parking charges in 2018-19. The government presented a Rs 53,000-crore budget for the financial year 2018-19.